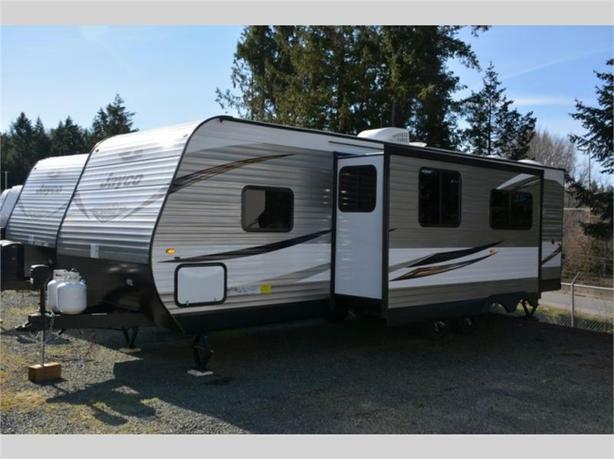 It's time to enjoy the whole experience of outdoor fun with inside comforts in this travel trailer. 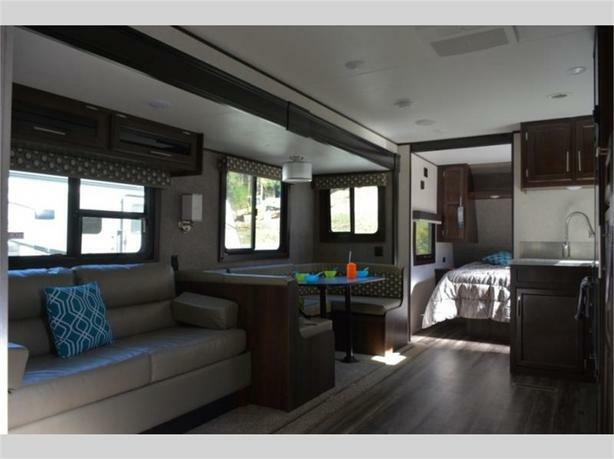 From the Simmons queen mattress in the semi-private front bedroom to the double size bunk beds next to the main entry, everyone is going to have their own comfortable sleeping accommodations. 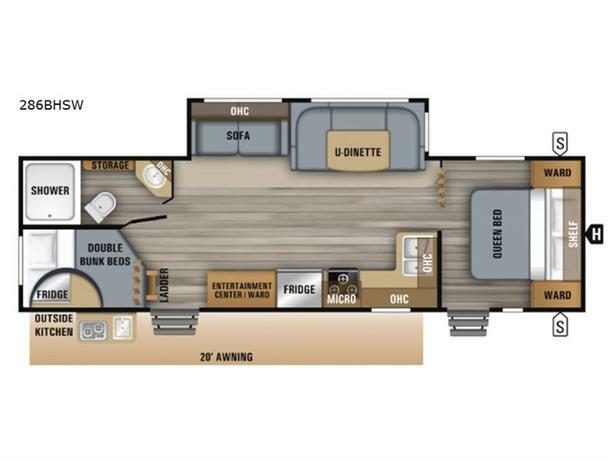 The main living and kitchen area includes a U-shaped dinette for meals and playing games while someone relaxes on the J-steel jackknife sofa. 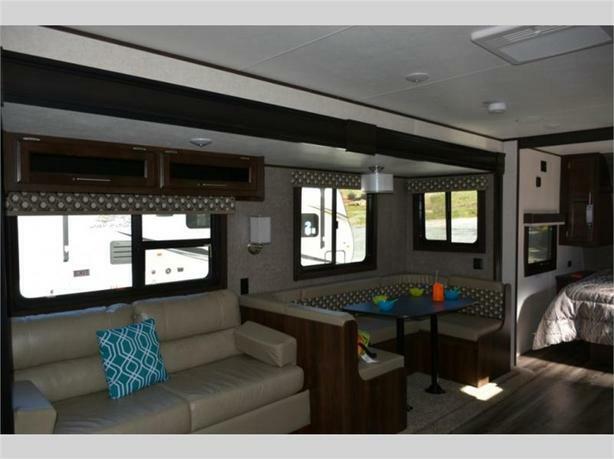 The dual entry feature is quiet convenient when you have several people coming in and out of the trailer throughout the day. The cook even has the choice of making meals inside on the L-shaped countertop or outside on the outdoor kitchen. Take a look, you will be a happy camper. 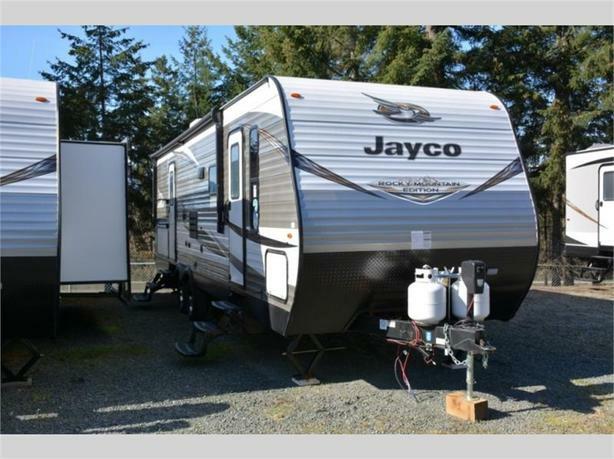 With any Jayco Jay Flight SLX Western Edition you will appreciate the 8-foot wide body for more interior space, the Magnum Truss roof system with seamless DiFlex II material, and the handy Keyed-Alike entrance and baggage doors for protection on the road. 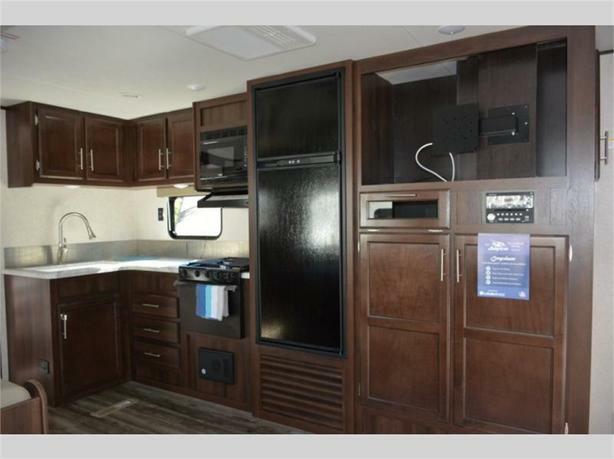 Inside you will find modern kitchen appliances including a three burner range with 9,000 BTU Super Burner and piezo igniter, a Norcold refrigerator with temperature controls, and a microwave oven. 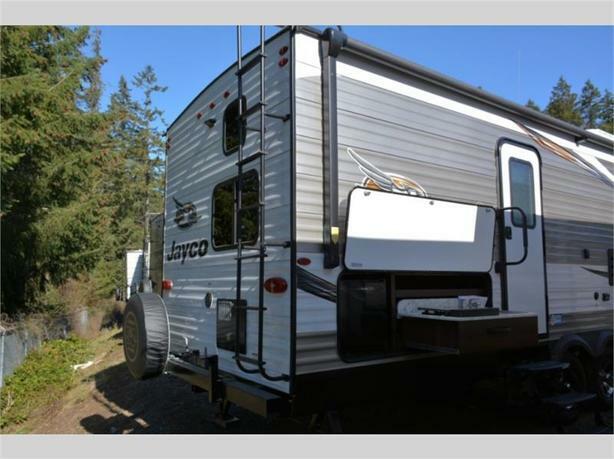 There are several packages and options to choose from to make this your perfect RV. 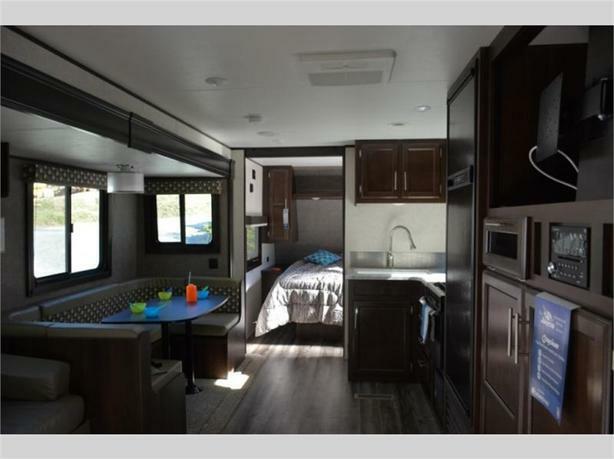 Come see which model fits your lifestyle the best!